The new EXPLORER 540, Cobham SATCOM's latest addition to its established EXPLORER range of satellite terminals, introduced as the world's first Machine-to-Machine (M2M) communication terminal to operate on both Inmarsat BGAN (Broadband Global Area Network) and 2G/3G/GPRS networks. For organizations transferring business or safety critical real-time data within their M2M networks, EXPLORER 540's dual mode can provide unmatched service availability. Designed to deliver real-time M2M communication for diverse applications including IP SCADA for data backhaul, asset tracking, real-time surveillance and remote telemetry, EXPLORER 540 brings with it the same operational reliability that has helped to establish EXPLORER as a leading name in the land mobile BGAN and VSAT sectors. It is based on the latest generation EXPLORER technology platform, introduced with the EXPLORER 510 BGAN terminal. Explorer BGAN 540Supports the Inmarsat M2M AccessPlatform (M2MAP). Over The Air (OTA) file transfer server forsupport, i.e. log retrieval, configuration update, etc. • EXPLORER 540 is BGAN M2M certified and BGAN Class 2 Type. Approved for services such as BGAN Link. • The optional 2G/3G/GPRS Modem is an integrated part of the design. 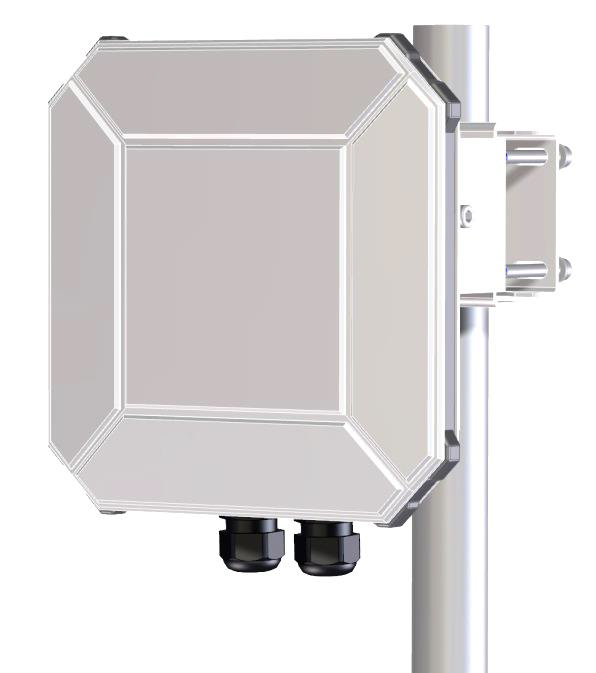 • Lightweight and rugged IP66 design ensures durability for outside mounting. No enclosure needed. • Versatile power options with both Power over Ethernet (PoE) and 10-32VDC input. • Two cable glands for easy installation of standard power and Ethernet cables into the back housing. • Remote management of the terminal via SMS including configuration, debugging, and access to the web interface. • Polemount included in the package. A true dual mode BGAN M2M terminal with an optional 3G Modem Box as an integrated part of the design. The optional EXPLORER 3G Modem replaces the backcover and fits the interface enclosure on the EXPLORER 540. With the modem you can connect to local cellular networks and turn EXPLORER 540 into a dual mode BGAN M2M. You can use Explorer 540 as a low-power, Ethernet port in remote locations. Utility Smart Grid - Realtime control with less about 1200 millisecond latency. Weather, environmental, seismic warning sensors over a wide (global) area. Pump/Valve monitoring and control - Access remote devices, screens, parameters. Asset Monitoring - Trigger Switches, Door open, motion detector, alarm send information. Remote Video Surveillance - 448 Kbps speeds allow for fast refresh-rate of images real-time. Low or High-Bandwidth SCADA or M2M devices. Any remote device that communicates over a standard TCP-IP Internet connection. Click the button below to add the Cobham 540 BGAN 3G/ M2M Data Terminal to your wish list.